My current favorites are by author/illustrators who inspire me with their immaculate balance of words and pictures. Each has a unique way of letting the text say one thing and then allowing the images to breath life into a deeper aspect of book- creating subtle space for the story to grow in between the words and pictures. That is where the magic happens. The text is often minimal (some more than others); then with graphic compositions, they control how the reader moves through the book-not only with their eyes, but emotionally. What is not said is felt through the pictures. Jessica is giving away her newest book, Laundry Day, along with two bookmarks and a Before I Leave poster to one lucky winner at the conclusion of ReFoReMo. To be eligible for the giveaway, please leave a comment on this post and strive to read mentor texts regularly. 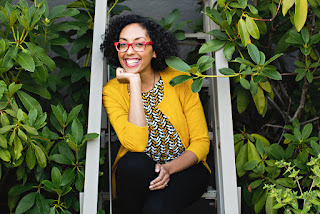 Jessixa Bagley is a picture book author/illustrator. She currently has three picture books published with Roaring Brook Press: Boats for Papa, Before I Leave, and Laundry Day. Boats for Papa won the 2016 Washington State Scandiuzzi Children’s Book Award. 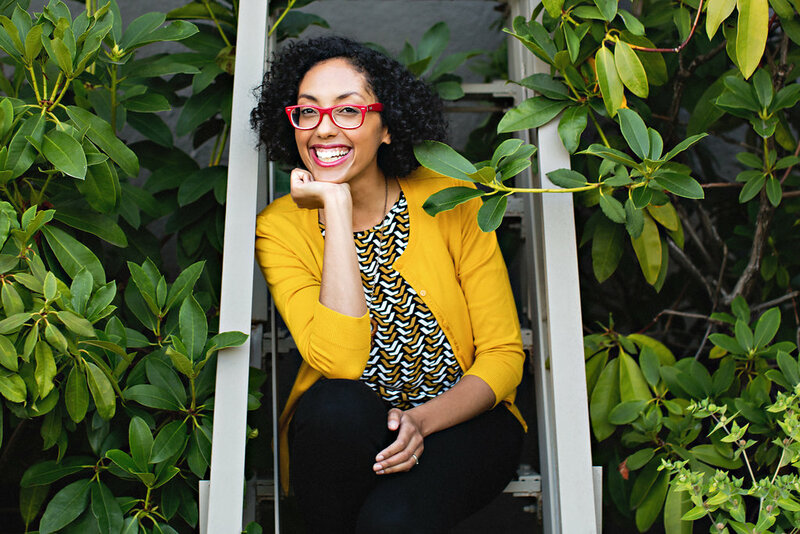 Her next picture book, Vincent Comes Home (Winter 2018), is collaboration with her husband, Aaron Bagley. Jessixa loves both real and fake hamburgers. I just finished typing out the text of Before I leave so I can have it to refer to a mentor text. The text is a nice balance with the watercolor and pen drawings. Your books allow children to get in touch with complicated deep feelings that they may not be able to talk about. You're an inspiration. Jessixa, I love your examples. They are indeed books to study and emulate. I agree with Susan that your books are worthy of this list. I love Boats for Papa. Oh, to be an author-illustrator. They do have a great gift for balancing text and images. Looking forward to studying those of these recommendations that I'm not familiar with and see how the artists have done just that. Thanks, Jessica! When I see fabulous author/illustrator examples such as these, my admiration continues to expand. I am often in awe at how the synergy of their words and images blend together to create a message more powerful than one versus the other. Thanks for sharing these great examples! P.S. "Boats for Papa" is simply beautiful. these are all good books. I haven't read Granddad's Island. I'll have to look for that one. When I first read Boats for Papa, I had an "AHA" moment! This is what I aspire to write - and I found my mentor text! The balance between words and pictures is beautiful.Thank you Jessica for inspiring me! You are so welcome! I'm honored to be an inspiration! These are all great books! Thanks for the reminder to look at them again. Thank you Jessixa for the wonderful mentor text suggestions. 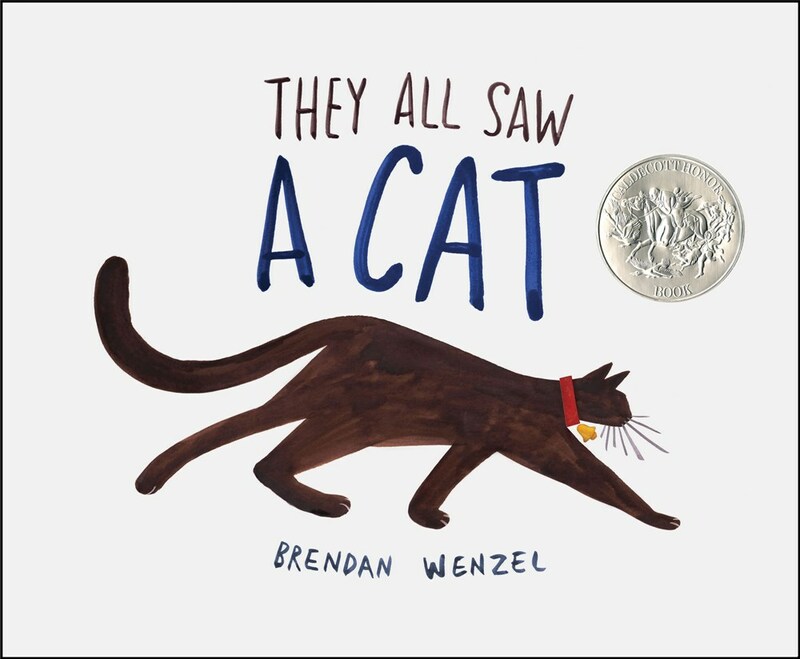 I have re-read and re-read THEY ALL SAW A CAT it made me think on many different levels. nice job with BOATS FOR PAPA. I can't wait to study the ones I haven't read before. Thank you so much for this post. Thank you Jessixa I do find it hard to leave room for the illustrator so I will look to this books on how to do it. The marriage between words and pictures is why I love picture books so much. Their combined effort really do make magic and the books you recommended are a perfect examples of that. Thanks! Wonderful recommendations and BOATS FOR PAPA is fabulous, Jessixa. Great post, Jessixa! Thank you for sharing your thoughts on reading books that deal with the balance between words and pictures. These are great mentor texts. I love They All Saw a Cat! Thank you, Jessixa! I appreciate these mentor texts. And Loved Boats for Papa. I love books in which illustrations tell the story. Wishing so much that I could draw more than stick figures! 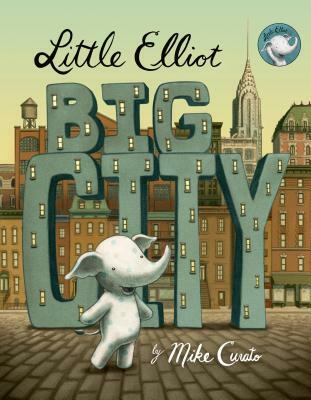 These books have the perfect balance of illustration and text -- including your two! Thanks for a great list. I will have to study them closely. Hi from Portland, OR Jessixa! I just read BOATS FOR PAPA last night to my kids...and here you are:> Thank you for your list of recommendations to read and study!! Successful PBs are the perfect marriage between words and images. Your books are lovely! Thanks for sharing with us. Jessixa, What a special gift you have of balancing words with illustrations. BEFORE I LEAVE is one of my favorites! Boats for Papa is a favorite. Love the tone and what's not said. Looking forward to discovering your other books. The true artistry of PB writing Is leaving space for the illustrator. Thank you for sharing this list! It's always so gratifying to read one story in text, and to see another amazing story being told in illustrations. The books you mention here do this brilliantly. Jessica, I look forward to reading your stories as well! What is not said is just as important as what is said. Like you, I have begun to think between the words as I write. TY for highlighting these choices today, ,Jessixa. BOATS is sic a wonderful book. Yes! Thinking between the words will help you write your stories. It's not easy, but when done well, it will make your story soar! Such wonderful suggestions and insights. Thank you! Children have so many ways to experience life. A variety of book approaches is important. Thank you. Great mentor texts - thanks for the list. Lovely collection of books. And I'm sure you know but your work has been cited again and again during Reforemo. Lastly, your website is beautiful. It's truly humbling to have my work considered as a mentor text! Thanks so much! Hi Jessica, I've got Boats for Papa on reserve and will pick up soon. Can't wait to read it. Thanks for sharing! Great book recommendations. I haven't read GRANDAD'S ISLAND, so I've added it to my "To Read" list. I adore your lovely story, BOATS FOR PAPA, and I'm looking forward to reading BEFORE I LEAVE. Thanks for your post. I love the idea of "... creating subtle space for the story to grow in between the words and pictures. That is where the magic happens." I think it's genius! Thanks, Jessixa. That balance between text and illustrations is so important. We writers that are not illustrators must remember to allow for the artwork to extend and deepen what our text is conveying. Thanks for the great examples, Jessixa! Thank you, Jessixa, for this wonderful list of recommendations (high praise coming from an author like yourself, too)! I am so glad Little Elliot is on your list. 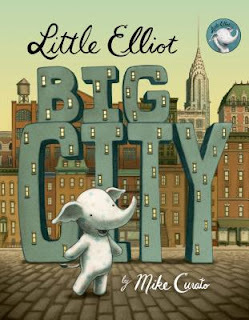 I adored this one as well and have also read through this one numerous times, having the sparse text combined with the art (which just tugs at your heartstrings and makes the text that much stronger)become a very strong mentor text for my current WIP. They say that the space between panels of comics is where the reader fills in the story and becomes a part of it. I like the idea of an invisible space like those panel gutters in between the pictures and words of a picture book. Thanks for the insight, Jessixa! BOATS FOR PAPA is a beautiful book and a wonderful example of "creating subtle space for the story to grow in between the words and pictures." Looking forward to seeing how the "magic happens" in BEFORE I LEAVE. This is something I'm working on today - that balance between words and illustrations. As a writer-only, I have to stretch my imagination to allow the illustrator the freedom to help the reader feel the story. Not being an illustrator, I'm humbled by these examples that are product of one creator. All fine examples that might help me to think more like an illustrator to help my writing journey. Thanks for the post. Thanks for these great mentor text suggestions, Jessixa. I have read some of them and look forward to reading the rest. Thanks, Jessixa! I've noticed the lower word counts in author/illustrator PBs. "Creating subtle space for the story to grow in between the words and pictures. That is where the magic happens." I have this on a post-it note on my laptop. Thank you! I LOVE your books! Just had to share. And I agree that I am in awe of author/illustrators and the way they balance their two art forms. Often these are my favorite books as well. Thank you for suggesting such wonderfully balanced mentor texts today, Jessixa. BOATS FOR PAPA really pulls at those heart strings and such a sweet story. You've captured what is so hard to do but yet we PB authors strive for. Very inspiring. I'm going to re-read the books you suggested, Jessixa, and check yours out too! Where would we be without our author/illustrators. Even if we're not illustrators they have much to teach us. Thanks for some great examples, Jessixa. Thanks, Jessixa. Since I am not an illustrator it is a challenge to see my words in balance with pictures that aren't there yet (only in my head, and those may not be the same as the artist's vision!). I'm always second-guessing myself on what to leave in and what to leave out. It's important to review lots of good mentor texts! Jessixa, your books are beautiful! I love the comment about the "immaculate balance of words and pictures." Boats for Papa is so wonderful! I wish I could find the perfect balance between art and text as a writer-only. It's been a big challenge for me. I love this post, Jessixa. I have a background in Graphic Design and I am absolutely fascinated with how all of the creative disciplines have to enhance each other. I love what you said about the way stories grow between words and pictures. I suspect I will be thinking about this for a while :-) Thank you so much for sharing! Thank you Jessixa. Great recommendations and I will read BOATS FOR PAPA. Great examples of that type of ok! I wish I had a better eye for imagining illustrations! Illustrations give life and dimension to our words. Thanks for the great examples! Lovely examples. And as an added note, your Boats for Papa is one of my favorites. Oh my goodness! I love PBs and their pictures, but I have fallen in love with your illustrations, Jessixa! They are precious! And I will certainly be reading these mentor texts. Thank you! As I am not an illustrator, the magic between illustration and words always fascinates me. 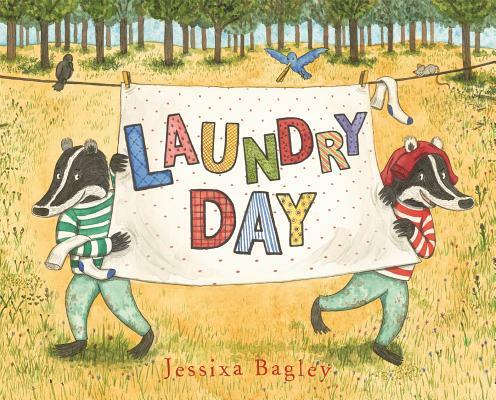 By the way, the illustration in Laundry Day where absolutely everything is hung out on the line is perfect. My own laundry lines never looked like that, but my house felt like some little one had that intention. These are such terrific examples of the intersection of words and art. These remind me as a writer to always leave room for the vast visual creativity an illustrator brings to words. Thanks, Jessixa! Great examples of the balance between words and pictures. thanks Jessixa. Love these recommendations. Each one, better than the next. Thank you! Thanks for sharing this list, Jessixa. Your books are beautiful. Wishing you continued success is the picture book world! This is why picture books are, in Lucia Monfried's words, a "sublime form." Thank you for highlighting this! Oh, for the lack of artistic talent! How I wish I could draw! It's tough writing a story with just a few words, but that is, of course, what PBs are all about! There is a definite balance between text and illustrations that seems to be a fine line. I love Boats for Papa and look forward to reading your others. I love ALL of your suggestions and love YOUR work as well! Thank you for reminding us of the balance between text and illustrations. I enjoyed each of the books in this list. Thank your for your insight and suggestions. What a fabulous mentor list! I love "creating subtle space for the story to grow in between the words and pictures." Thank you, Jessixa! Caught your webinar earlier this year! It was great! Thank you for the wonderful mentor texts! I will endeavor to allow growth to take place on my own page: allowing the story to grow between the intricate dance of illustration of text in a way that creates that subtle space needed for growth. THANK YOU for INSPRIING ME on this snowy "spring" day! I loved your Boats for Papa. I look forward to reading your other books. Thank you for these mentor texts. Looking forward to studying them. Thanks for a great post. Congratulations on being both author and illustrator... such a talent! Loved the perspective changes (paradigm shifts) in They All Saw a Cat. I struggled with Du Iz Tak. Will have to revisit it after ReFoReMo. Thank you for your insightful post. Looking forward to reading the other selections, along with your books. Still choked up over Grandad's Island. Mercy. I'm always jealous of author/illustrators--so much talent in one person. Thanks for this list. A couple of these books I loved. A couple I did not care for at all. And one I'm middling on. But one of the ones I love really spoke to me this time around reading it and gave me some new insight into the simplicity of the texts I want to create. Thank you! Thank you Jessixa for the title suggestions! You are an artist both with words and with illustration, what a blessing for us all. Thanks so much. Thanks for sharing your insights, Jessixa, and this great list of mentor texts. I haven't read Grandad's Island. I'll check it out! And, like others, I adore BOATS FOR PAPA! It seems magical when stories "grow between the words and pictures." Those books are the best! Thank you for your recommendations. Thank you for your post! I usually focus on words, but your post challenged me to think more specifically about the balance between pictures and words. Boats for Papa is another great example of this balance. It's a favorite! I love these books! Such wonderful studies. Jessica, you are so talented! Thank you! Jessica you capture so much emotion with your text and pictures with your book "Boats for Papa". I'm always in awe of what illustrators do to bring stories to life. Thanks for these beautiful examples. Thanks for your insight. I love Boats for Papa and look forward to reading your other books. 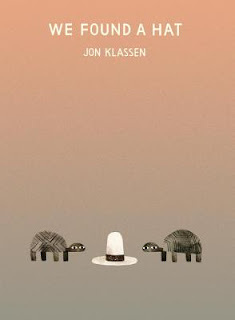 I enjoyed We Found a Hat more upon this reading (and after reading Klassen's other two hat books in the same sitting). What wonderful books to accompany your post! I've been finding it difficult to manage the balance in a new story. I find some editors/agents are so averse to illustrator notes, that I'm reluctant to use them. Then I feel I must add more to the text so that the action is clear. I like your book selections. I read They All Saw a Cat and loved it. Thank you for sharing. I have always found it interesting how the words and illustrations work together or why I don't think they don't. Some I find work beautifully as if musical notes on a page; others seem out of sync to me. Both are learning tools. Thank you for sharing your thoughts as an author/illustrator. Your perspective is an important one for those of us who are only the authors of a text. While reading these books, I envisioned reading each book to a child - without the illustrations. Like reading a book then seeing the movie is a totally different experience vs reading a book after seeing a movie. Great books and great post. Your art is gorgeous Jessixa! Wonderful books, Jessixa. Thank you! Your thoughts are appreciated, Jessixa. How wonderful that you and your husband collaborated on your upcoming book, VINCENT COMES HOME. Thank you, Jessixa. These books are wonderful--and this is something I'm working on in my own writing/illustrating, so I will be returning to these for mentoring. Also, I love your book, Boats for Papa--looking forward to reading the others. 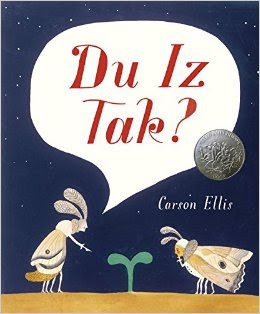 Jessixa...I loved listening to you in the 12x12 Webinar...and I loved the books you picked out for us as mentor texts...I am in love with Du Iz Tak? Love these books! We can learn so much from mentor texts. Love your books too! Thank you for sharing with us. These books make me wish I were an author/illustrator! 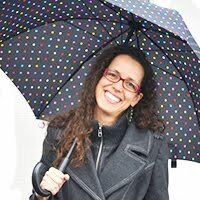 I love your books Jessixa. I haven't read Du Is Tak? yet but I am anxiously waiting to get my hands on it. Loved They All Saw A Cat. Very original but an important message. A wonderful collection of picture books, all eminently re-readable, and all worthy of careful study. Thank you for tying them together so nicely! 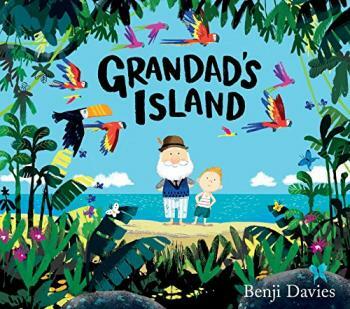 Thank you for introducing me to Grandad's Island! Thank you, Jessixa, for this post. One story on that list I've yet to read. Boats For Papa hit an emotional spot in me, it's so sweet. Your writing is special, so I hope to be able to read all your books. Great examples of picture books finding that balance between text and illustrations. Boats for Papa is such a wonderful PB! Congrats on the publication of your newest one. Great list! Thank you! 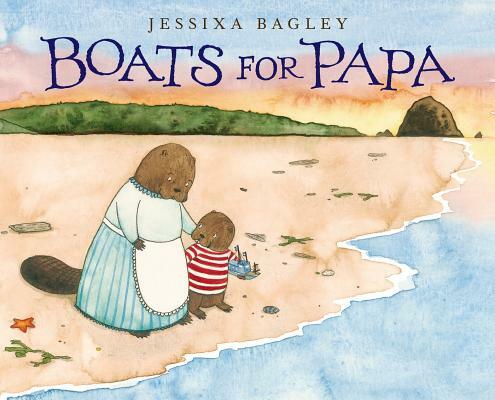 Boats for Papa is one of my favorite picture books. As an author/illustrator, these are my favorite kinds of books. Thank you for your post and suggestions! Thank you Jessixa. I read all three your books. Look forward to the next one too. All the best to you. I love the relationship between art and text. This makes me look at the illustrations from a slightly different perspective. I'm curious to see if it helps my writing. Thank you! what a fun list to read, thank you! Your insights were eye-opening to me. "...letting the text say one thing and then allowing the images to breath life into a deeper aspect of book..." Thank you! Looking forward to reading those I haven't yet discovered! Love Boats for Papa. Thanks for the list. This is a fantastic list. I adore Boats for Papa. Thanks, Jessixa. Great list, and I love Boats for Papa too. Such a wonderful book. Thanks for inspiring us to go deeper. The author-illustrator perspective is valuable to PB writers. Jessixa – thanks so much for sharing these mentor texts that really show the magic that happens between the words and the pictures. I look forward to your next book! A wonderful list Jessixa, thank you. It is PB magic indeed, when subtle space is created for the story to grow in between the words and the pictures. Great reading/thinking choices. Many thanks. Laundry Day looks like a fun day :) Thanks for the post! As an aspiring author / illustrator myself I really enjoyed these recommendations. Thanks! Du Iz Tak? by Carson Ellis is unique. I can't wait to get my hands on the other picture books. Thanks for sharing, Jessixa! Thanks for all these recommendations.